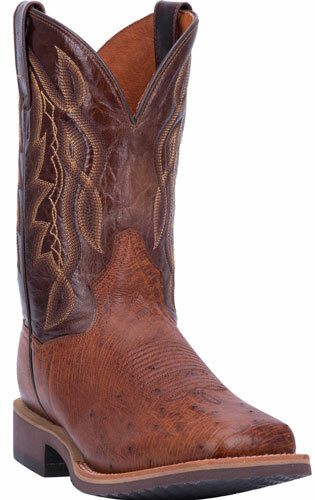 This Dan Post Cowboy-Certified Philsgood 2 Western Boot Features A Cognac Smooth Quill Ostrich Foot Under An 11" Leather Shaft With Fancy Stitched Detail. Soft Strike Removable Insole. Double Stitched Welt. Stockman Heel. Wide Square Toe. Diamond Pro Comfort Outsole.